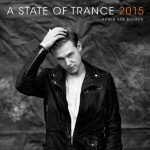 Even though 2005 was a massive, busy year for Armin van Buuren, his A State of Trance 2006 compilation was still on time to ring in another year of good trance music. In 2005, Armin won 2 awards for his ‘Shivers’ album, at the Dutch Release Dance Awards and the prestigious Edison Awards, both for ‘Best Album’. Next to that he launched a new, spectacular event called ‘Armin Only: The next level’, which took place in November 2005 at the Rotterdam Ahoy venue and turned out to be a big, sold-out, success. But there’s more. 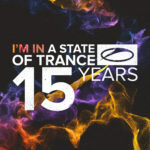 At the International Dance Music Awards in Miami, he received the ‘Best Mix Radio Show’ award for his A State of Trance radioshow, which had its 250th transmission in May 2006. April 17 2006 was the day for all A State of Trance fans to head off to the music stores and grab their musical guide through trancy 2006. 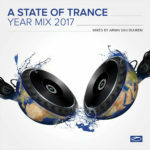 It’s no surprise that A State of Trance 2006 won the award for ‘Best Compilation’ at the IDM Awards in Miami, with a quality trance selection like that. 2006 was the first year in which Armin chose to use different themes for the album. 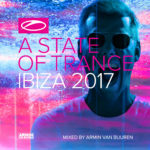 CD 1 is called ‘On The Beach’, for those that love those miraculous summer beats, and CD2 ‘In The Club’, for a slightly more upbeat approach of an Armin set in the club. 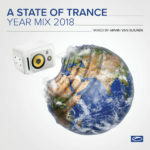 On A State of Trance 2006, you’ll find tracks by Mike Foyle, Leon Bolier, Arksun, John O’Callaghan, Envio, Zirenz, Sunlounger, Matthew Dekay, Karen Overton, Armin himself, and many more.